Latest news, additions, tip, and information regarding insurance products offered through REALTORS Benefits Program. There are a lot of places you can turn to for help…but who will help you the best? Where is the best place for you to turn? As a REALTOR®, you have many resources at your fingertips. REALTORS® Insurance Marketplace is one of those valuable resources. We are a trusted partner in the REALTOR Benefits® Program, helping you sort through your health insurance options. But how? 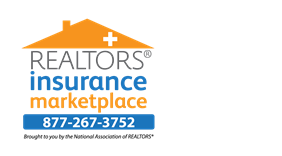 What makes REALTORS® Insurance Marketplace a good resource? Why should you choose REALTORS® Insurance Marketplace? REALTORS® Insurance Marketplace has licensed enrollment specialists, specifically trained to help NAR members understand healthcare laws, access plan options, and assist in enrollment. All enrollment specialist are certified on the federal marketplace, and thoroughly understand healthcare reform. Our goal as experts is to make navigating the exchanges as simple as possible for you and the thousands of NAR Members who trust us as their resource. Open Enrollment, a key part of the Affordable Care Act, begins November 15th! That’s less than 3 days away. Understanding the basics can help you take advantage of this important time period. Brought to you by REALTORS® Insurance Marketplace, this nine part series will help you learn important facts about this year’s Open Enrollment. 9. Supplemental insurance policies paired with qualified health plans can help lower total costs of health care. Although you are required to have a qualified health plan or pay the penalty, there are ways to get the most out of your money. Consider purchasing a QHP with a lower monthly premium and a higher deductible and pairing it with a supplemental health insurance policy such as REALTORS® Core Health Insurance. You can decrease your total monthly premium and reduce your out-of-pocket expenses related to health care. That’s it. Now you have all 9 Facts You Need to Know for a Successful Open Enrollment. Ready to shop, compare, and enroll? Beginning Saturday, the REALTORS® Insurance Marketplace is able to quote and enroll NAR Members in qualified health plans. Dental and supplemental health plans are available at any time. Click here to get started.